*You're saving $60.00 by purchasing a pair! The versatile HCX Digital Hearing Aid isn't your ordinary, cheap hearing aid. Due to its ability to exceed customer expectations with high-end performance, it's one of our most popular devices. Small but powerful, it's designed for the person who can still hear but experiences difficulty understanding conversation in vehicles, restaurants, and other noisy environments. In other words, the HearClear HCX is a big problem solver with a small price. For under $350, you can experience similar digital technology to that used in far more expensive hearing aids. The HearClear HCX has all the important features to help you hear clearly, without the unnecessary bells and whistles that just add to the cost. Virtually invisible when worn, the HearClear HCX provides all-day comfort with a small case, nearly-invisible thin tube, and soft medical-grade tip. Comfortable sound comes from HearClear HCX’s 12 bands of frequency shaping that help make only the sounds you’re missing louder, and 10 bands of layered noise reduction to help keep the background noise down. 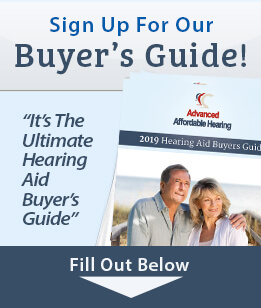 The combination of these automatic features along with simple, manual volume control and a helpful low battery warning, keeps the wearer in control of their hearing experience, and makes the digital HearClear HCX a great value and our top selling affordable hearing aid! Looking to save some extra money? 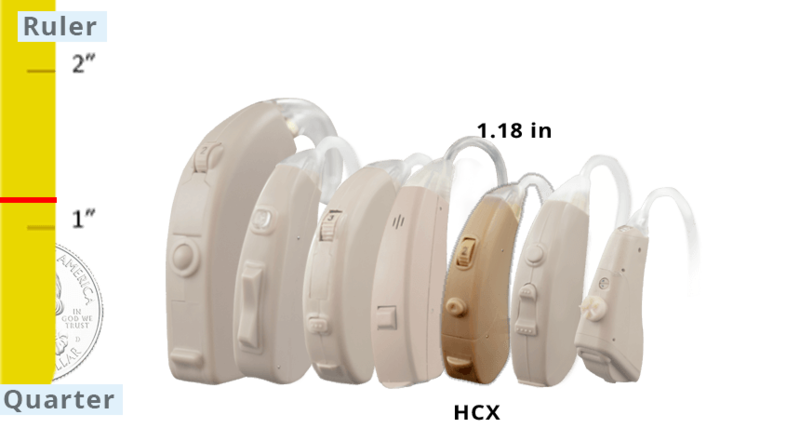 Why not consider purchasing a Refurbished HCX Hearing Aid. Advantages: Lower prices, extended limited warranty and FREE shipping. For more information Click Here. Comfortable Enough To Wear All Day!